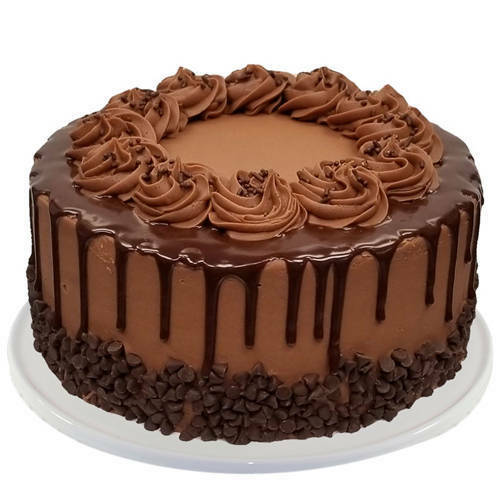 Present this Tasty 2.2 Lbs Chocolate Cake from Taj or 5 Star Hotel Bakery to a close one of yours and convey your heart-felt love for the desired person in your life. Create magical moments in the lives of your dear ones by sending them this Mesmerizing Mixed Flowers Bouquet with 1 Kg Chocolate Cake from Taj / 5 Star Hotel Bakery that will bind you closer to their hearts. Carve your way to the hearts of the ones you admire by gifting these Joyful 24 Red Roses with 1 Kg Chocolate Cake from Taj / 5 Star Hotel Bakery that they will forever keep close to their heart. Send this Toothsome 2 Kg Chocolate Cake from Taj or 5 Star Hotel Bakery as the ideal celebration gift to your loved one.